Gonzaga's Przemek Karnowski and Domantas Sabonis, North Carolina's Brice Johnson and Kennedy Meeks, and Iowa State's Jameel McKay and Georges Niang are among top projected big men for the 2015-16 college basketball season. Operating as a big man in the modern game can mean a lot of different things, with stretch fours and positional hybrid-types replacing the traditional, back-to-the-basket big. As a result, you’ll find a wide variety of skill sets and body types on this list, linked by the fact that all should spend time as nominal bigs tasked with rebounding and matching up against height on defense, regardless of their respective offensive comfort zones. 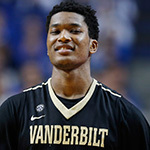 In alphabetical order, here are SI.com’s projected top 20 bigs for the upcoming season. Note: Kansas freshman Cheick Diallo was left off the list due to his pending eligibility. Height: 7-footWeight: 230Class: JuniorNo Division I player blocked more shots than Brimah last season, and his 121 in 35 games equates to a ridiculous 5.3 per 40 minutes. He should continue as one of the nation’s best defenders and as a strong floor-runner and finisher on offense (67.4% FG), though his post-up game leaves much to be desired. 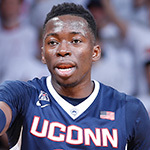 Brimah will anchor the paint for a UConn team with more than enough talent to return to the Big Dance, and he might just be the key to the Huskies getting there. The crown jewel of Steve Wojciechowski’s first two recruiting classes, Ellenson was the type of high school talent that could have gone anywhere he wanted, choosing the Golden Eagles over Kentucky and Michigan State. He's rare brand of big who can shoot at a high level bang in the paint just as effectively, and his wide range of elite skills ranging out to the perimeter will be crucial to Marquette’s program turnaround. He’s not quite the pro prospect Kevin Love was, but the five-star recruit profiles comparably and could have a similar impact as a freshman. And should that happen, Ellenson may not stick around campus too long. Ellis earned All-Conference honors as a junior while leading Kansas in scoring and rebounding, using 25.9% of possessions and averaging 13.8 points and 6.9 boards. The combo forward may not need to shoulder as heavy a load on a tested Jayhawks team that expects improvement from its junior backcourt of Wayne Selden and Frank Mason and adds a five-star freshman big in Carlton Bragg (and if eligible, another in Check Diallo). Ellis’s scoring could actually see an uptick as a result, as he should be able to focus on cleaning up around the rim and still step out for comfortable shots. Gathers might be college basketball’s best man on the glass, averaging the third-most boards in all of Division I last season (most among high-major players) while improving his offensive and defensive rebounding rates for the third straight season. 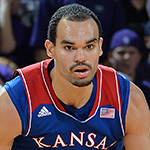 He grabbed 22.3% of available misses, second most in D-I, and was named a second-team All-American. 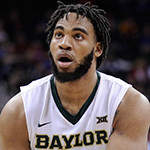 The bruising four-man bolsters a strong Baylor team looking to avenge last year’s NCAA tournament upset loss to Georgia State. The true seven-footer with post-up skills, athletic ability and great rim presence is a rare bird in today’s college landscape, and Hammons is one of them. He returns to form a gifted trio of Purdue bigs alongside sophomore Isaac Haas and five-star freshman Caleb Swanigan. Hammons presents problems on both ends for opponents, and an uptick in scoring would give Purdue dark-horse potential in what should be a mostly wide-open conference. If he can stay dialed in for an entire season, his NBA stock will rise considerably. Wisconsin’s three highest-usage regulars (Frank Kaminsky, Sam Dekker and Traevon Jackson) have departed, and Hayes remains from that memorable group to pick up the considerable amount of slack. 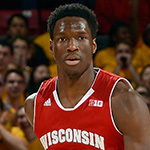 And though the Badgers may not operate at quite the same level, that opportunity has made the affable forward a preseason contender for Big Ten player of the year honors. 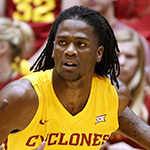 According to sports-reference.com, Hayes had the 11th-best win shares total in Division I last season (7.1). With his scoring and rebounding almost sure bets to increase, expect a big season for Hayes. One of college basketball’s largest men is back for one last run after helping Gonzaga reach the Elite Eight last season. The Zags lost their three top guards, but the elite frontcourt of Karnowski, Domantas Sabonis and Kyle Wiltjer returns, and coach Mark Few has already discussed playing all thre together. Karnowski’s stats profile better on a per-minute basis, which bodes well if his role increases even more. Though Karnowski’s production can be inconsistent and he can be slightly plodding on-court, not many college players can match up with him physically on the block. Johnson’s career at UNC has been extremely productive, often operating in the shadows of bigger-name teammates while getting the job done on the glass and in the paint. As his once rail-thin frame continues to fill out, a big senior campaign could be in order, particularly if his offensive game diversifies some. His dirty work in the paint will key a highly-tested Tar Heels team hoping to go deep into March. The first-team All-SEC center could be a first-rounder in next year’s draft with his legitimate NBA frame and great athletic and shot-blocking ability. Jones averaged 14.5 points as a sophomore despite generally being a non-shooter with an unpolished offensive game, and Vanderbilt will lean on him again while fielding a quality group of guards and shooters. A big season from Jones could lift Vandy into the upper echelon of the SEC and position the rising star in great position for a pro career. Everyone should be appropriately thrilled to see Labissiere finally suit up after he spent his his senior year out of the spotlight at a dubiously competitive prep school. He’s the early favorite to be next year’s No. 1 pick, and if history is any indicator, John Calipari will give his latest pupil every advantage on the path to the draft. 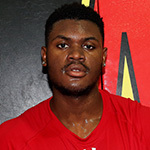 Labissiere is an awesome athlete with developing offensive skills, shooting ability and huge defensive potential. He may be raw, but he'll be a whole lot of fun to watch this season. For three years, Long has been one of the most productive players around. 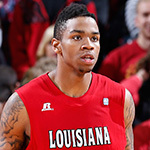 He’s led Louisiana-Lafayette’s highly successful program in rebounding and averaged double-doubles for three consecutive seasons, and he can shoot the ball a bit, too. It’s a pretty safe bet that Elfrid Payton’s former college teammate will make another strong statistical statement this season. Long is the NCAA’s active leader in double-doubles and total rebounds and earned a spot on the USA’s bronze-winning Pan-American Games team over the summer. 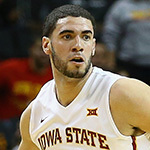 The former junior college standout made a splash in his first year with the Cyclones after transferring from Marquette, and put his 7'4" wingspan to good use right away, winning Big 12 defensive player of the year (2.4 blocks, 7.6 rebounds per game) despite missing nine games while ineligible early in the season. McKay will again be tasked with guarding the paint for one of the deepest teams in the conference under new coach Steve Prohm. Meeks can certainly be fun to watch with his penchant for long outlet passes, post skills and touch in the paint. As he continues to reshape his body, it should be another strong year for UNC’s leading shot-blocker. A leap could be in order if Meeks can stay on the court for more than last season’s 23 minutes per game, given his sophomore averages of 19.5 points and 12.7 rebounds per-40. Accordingly, North Carolina could seriously threaten in March, paced by Meeks, Johnson, Marcus Paige and Justin Jackson. Iowa State’s leader in points (15.3 per game) and usage rate (26.9%), Niang will again see time at both forward spots for the Cyclones, which bring back most of their key players and will challenge Kansas for the Big 12 title. A third-team All-American and first-team all conference player last season, expect the versatile, crafty scorer to be in the mix for individual honors if his team lives up to its potential. In addition to his scoring, Niang also finished top 10 in the conference in field goal percentage, free throw percentage, defensive rebounds and assists. With impressive size, skill and defensive chops, Poeltl emerged as one of last season’s breakout college prospects. The Austrian center could be draft-bound next year, but until then, he’ll remain the key piece on a talented Utah team that will miss Delon Wright, but returns a good deal of talent. Poeltl shot 68% from the floor and posted a top-10 offensive rebounding rate nationally as a freshman logging 23 minutes per game. It’s a safe bet that his opportunities will increase, and the potential for a big year from Poeltl gives Utah a shot at preventing Arizona’s third consecutive Pac-12 title. Five-star prospect Rabb turned down offers from most of college basketball’s blue-chip programs to stay home in the Bay Area and attend upstart Cal, where he’ll immediately be tasked with holding down the inside on both offense and defense. A terror on the boards known for ferocious dunks and highlight blocks, Rabb teams with fellow blue-chipper Jaylen Brown to form one of the more intriguing front-courts around. His free throw shooting has been suspect on the AAU circuit and he’s still far from a polished product, but Rabb’s talent alone makes him buzzworthy right away. We listed the Australian phenom as a big man based essentially on his size alone. 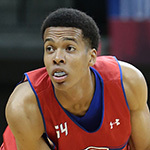 Simmons is one of the most diversely skilled players to enter the college game in recent memory. A gifted playmaker and face-up scorer, he’ll handle the ball a lot and work frequently on the wing and the fast-break, while guarding post players at the other end. His presence will create matchup headaches and makes the Tigers a popular pick to give Kentucky a fight in the SEC. 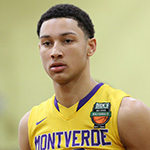 A likely top-3 pick in next year’s draft, Simmons will be must-see TV in what should be his only college season. Stone alienated some fans in his native Wisconsin when the Milwaukee native chose to leave the state, and more painfully, stay in-conference by committing to Maryland. Perhaps the most advanced back-to-the-basket scorer in the 2015 class, he’ll play a key role for the talented Terps and could cement them as title contenders with consistent play. The luxury of being able to throw the ball into the post should pay dividends for an already well-balanced roster. 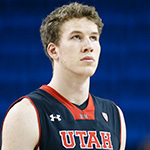 Stone will have an immediate impact on his team’s fortunes and could ride a strong campaign into the Lottery. It feels like this former five-star recruit has been in college forever, partially because of all the stars that have come and gone around him at Arizona in the past three years. Now one of the team’s leaders, Tarzcewski is in line for an expanded offensive role and has the pedigree to handle it. Though he’s never averaged double-digit points, he’s a career 56.8% shooter with the physical tools and approach to pull it all together as a senior. 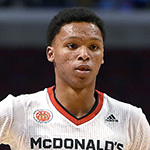 It looks like his time has finally arrived, and the Wildcats will certainly hope so as they establish a new offensive pecking order among a group of talented yet mostly untested young players.